In 1878, the word “stunt” was entered into the dictionary and defined as “an unusual or difficult feat requiring great skill or daring, especially one performed or undertaken chiefly to gain attention or publicity.” Watching someone going over Niagara Falls in a barrel or wing-walking or being a human cannonball has always been captivating to people from all walks of life, fascinating them with the potential of something going terribly wrong. blood and that he has always had an adrenaline-fueled need to push beyond what was previously thought impossible for a human to endure.Wyrick is famous for his physical endurance challenges that always employ a deadly race against time. He combines these death-defying stunts with elements of Illusion. Steve was asked personally by Her Serene Highness Princess Stephanie of Monaco to close an ABC Network Television Special in Monte Carlo. The Royal family, ABC Network executives, and the production company agreed to stage the most dangerous and death-defying challenge ever attempted in the Principality of Monaco. Steve was shackled to a steel table by members of the National Police of Monaco directly under a 30-foot tower that held six three-foot-in-diameter razor sharp circular saw blades. With only one minute to escape before the blades made a full descent and crashed down on the table, this master escape artist faced the ultimate race against time. Steve not only freed himself with a second to spare but also vanished and reappeared atop the Casino Royale more than 200 feet in the air above the table to which he had been chained. Thousands of people came from Monaco and Nice, France, to witness this epic event. After returning from Monaco, Steve was invited to star on an NBC primetime network television special called The World’s Most Dangerous Magic, being filmed on location at Sunset Gower Studios in Hollywood. He once again defied what was thought impossible to create on television. 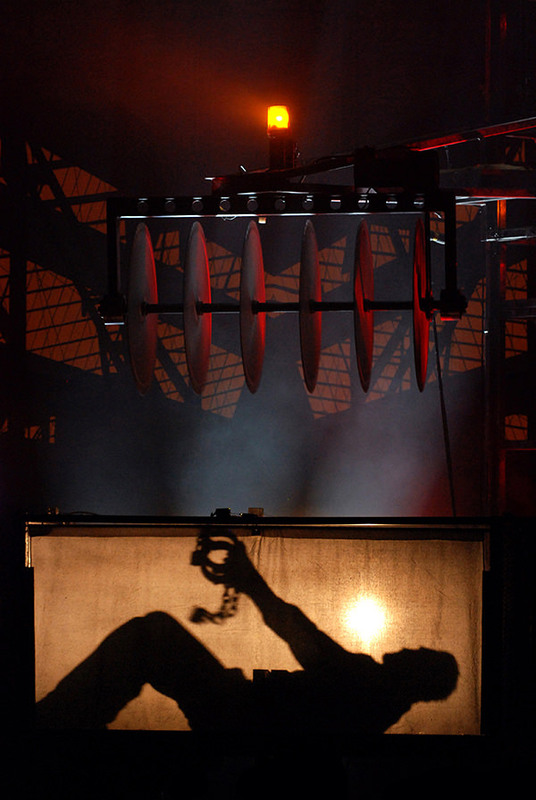 For this stunt, Steve was locked inside a cage directly behind a 747 turbine jet engine. 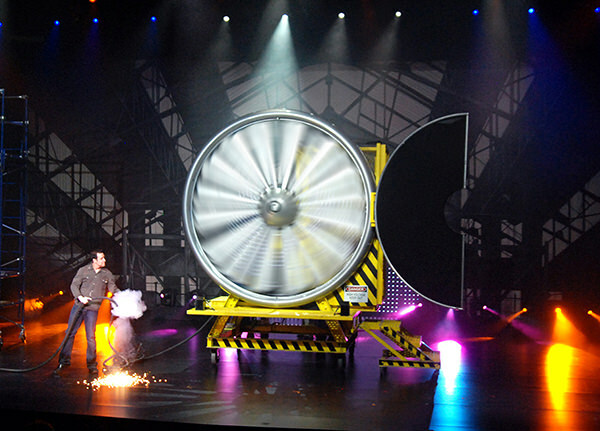 Members of the audience could see the entire engine from the front and both sides at all times. Steve stepped through the fired-up spinning blades while they were going Mach 1, emerging without a scratch. One of the most dangerous stunts that Steve ever attempted took place in the most famous tourist destination on Earth on some of the most expensive real estate in the United States. 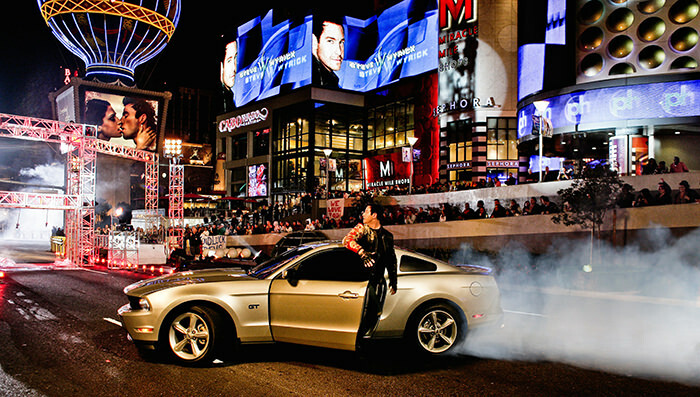 The Las Vegas Strip was closed down for one mile in both directions for him to attempt a never-before-seen endurance challenge to promote the new Mustang for Ford Motor Company. 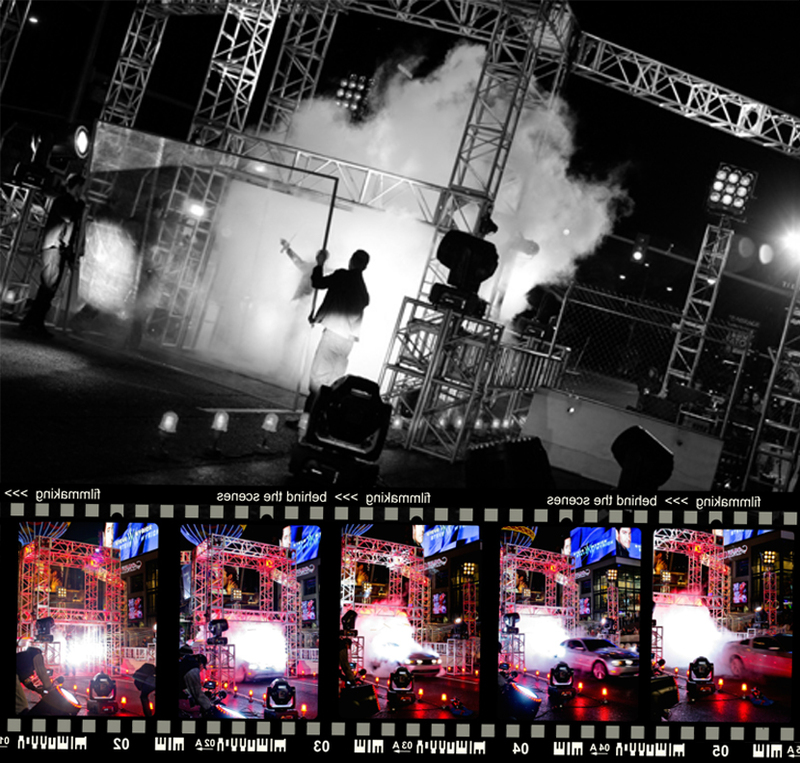 For this event, Steve partnered with world famous drifter Vaughn Gittin, Jr. Thousands of Las Vegas tourists watched from behind sidewalk barricades as Steve was chained into a framework by the Las Vegas Metropolitan Police Department, with barely enough room for a Mustang to drive through. Vaughn Gittin, Jr. drifted through Steve and the structure at over 100 mph after which the car did doughnuts. When the Mustang came to a stop, the driver-side door opened and, to the amazement of all, Steve was the driving the car! This was one of the most dangerous challenges ever staged in Las Vegas history. 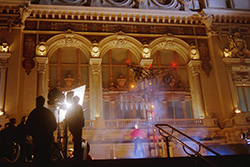 The stunt was broadcast on SpikeTV.com, Ford.com and was the finale of “The 10 Unleashed” series of webisodes that also featured Queen Latifah. 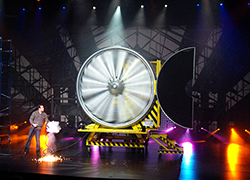 Steve Wyrick and his engineering team create riveting physical endurance challenges that always ensure record-breaking crowds, newsworthy press, and social media frenzies for international grand opening events, global premieres, television specials, and ticketed live events. 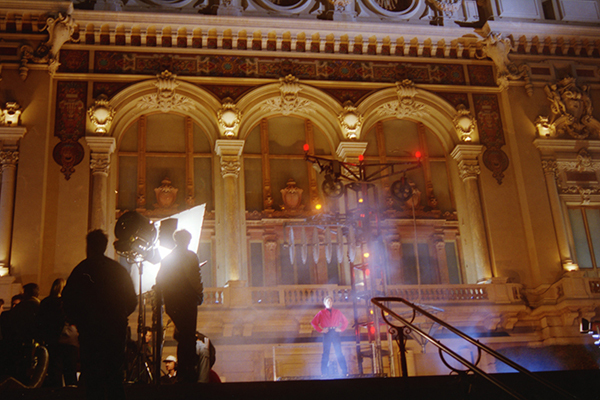 To contact the Wyrick Stunt Design and Coordination Department, click here.